High Design can Fit Many Shapes and Sizes. 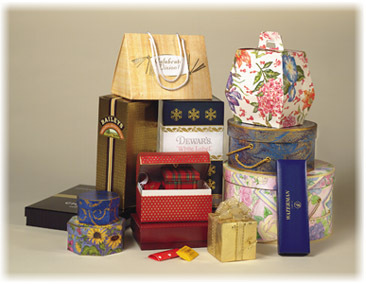 We offer an extensive line of coated and uncoated papers, both plain and embossed, to meet the "Rigid Box" wrapping requirements. Foil and coated board, one or two sides, is available for that unique carton look. Specials, with low minimums, are also available and can be color coordinated with the help of our "Design Studio". For your specific needs, please E-mail Us.